Today I walked down the Las Vegas strip from one end to the other. 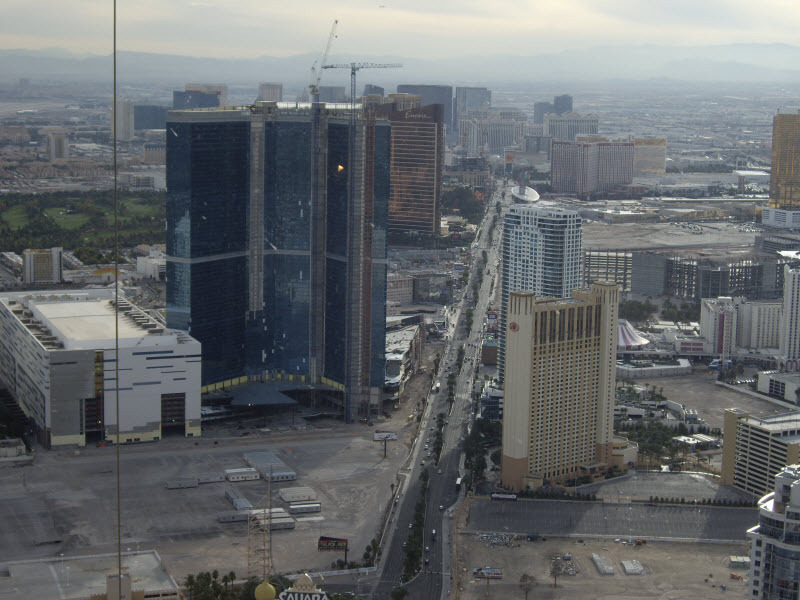 I started from the Mandalay Bay where I was staying and ended at the Stratosphere Hotel. It turned out to be quite a long walk. Google Maps tells me that its 4.1 miles. I have this thing for restaurants perched atop tall buildings. The Stratosphere Hotel has a tower with a revolving restaurant on the 108th level aptly called Top Of The World. It seemed like a nice place to have lunch. This is the view of the Las Vegas strip from 800 feet.